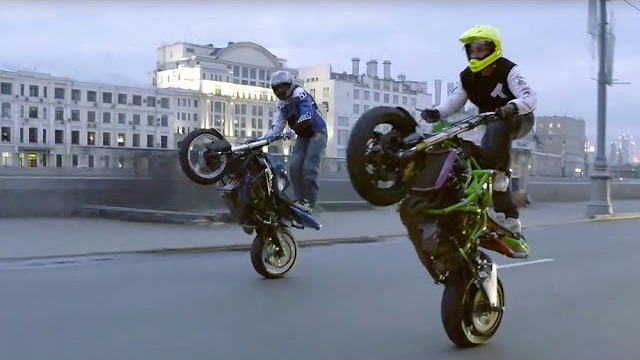 Griha Taldikin and Alex Zakshevsky ride Moscow streets in the night! Fast wheelies on the roads and nice thricks at the spot in the end of the ride. Slow motion shortage included. Griha's stunt bike based on kawasaski ZX6R 09, Zak's stunt bike based on kawasaki ZX636 03-04.